The two-page letter, dated January 3, 1954, was written to German philosopher Eric Gutkind, who had sent Einstein a copy of his book 'Choose Life: The Biblical Call To Revolt'. 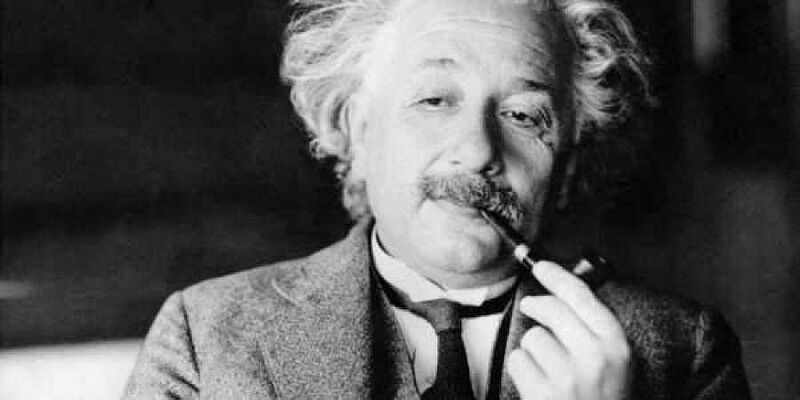 NEW YORK: German scientist Albert Einstein's most famous letter about his views on God and religion, written just a year before his death, has been sold for a whopping USD 2.89 million at an auction here. The letter was expected to fetch upto USD 1.5 million, Christie's said in a statement. The two-page letter, dated January 3, 1954, was written to German philosopher Eric Gutkind, who had sent Einstein a copy of his book "Choose Life: The Biblical Call To Revolt". "The word God is for me nothing but the expression and product of human weakness, the Bible a collection of venerable but still primitive legends," Einstein wrote in the letter. This remarkably candid, private letter was written a year before Einstein's death and remains the most fully articulated expression of his religious and philosophical views, the auction said in a statement. "The word God is for me nothing but the expression and product of human weaknesses, the Bible a collection of venerable but still rather primitive legends," Einstein wrote. "No interpretation, no matter how subtle, can (for me) change anything about this," he wrote. Einstein instead invokes Baruch Spinoza, the 17th-century Jewish Dutch philosopher with whom he strongly identified from an early age. Spinoza believed not in an anthropomorphic God who intervened in daily lives, but in a God beyond description, one responsible for the sublime beauty and orderliness of the universe. "For me the unadulterated Jewish religion is, like all other religions, an incarnation of primitive superstition. And the Jewish people to whom I gladly belong, and in whose mentality I feel profoundly anchored, still for me does not have any different kind of dignity from all other peoples," Einstein wrote. "As far as my experience goes, they are in fact no better than other human groups, even if they are protected from the worst excesses by a lack of power. Otherwise I cannot perceive anything 'chosen' about them," the letter says. Einstein wrote in response to Eric Gutkind's 1952 book, Choose Life: The Biblical Call to Revolt, which he read at the behest of Dutch mathematician and philosopher L.E.J.Brouwer (1881-1966). Though Einstein was unequivocal in his critique of Gutkind's work, he sought to establish a common ground between them, noting that they still agreed on "the essentials." Prefacing his frank remarks on God and religion, he observed diplomatically that he and Gutkind both believed in the importance of a strong moral foundation that rose above self-interest and instead sought to benefit humanity.